Spider mites are tiny, but they pack a serious punch. They are one of the most common pest on the interior landscape. There are more than 1,200 species of spider mites, and they feed on hundreds of different species of plants. Because spider mites can’t be easily seen with the naked eye, they can do substantial damage before they’re identified. These mites feed on plants by feeding on plant cells, removing the chlorophyll. Spider mites can live in warm climates, but the mites will really thrive in hot, dry conditions. On the interior landscape, the two-spotted spider mite, Tetranychus urticae, is the most common species found. It often infests palm species and other tropical foliage plants. Why Are Spider Mites So Destructive? The feeding habits of spider mites, which includes the removing of the content of plant cells, drains the very life out of plants, leaving them discolored and dry looking. The affected leaves can eventually drop off and the plant can be weakened significantly. If left untreated, spider mites can kill the plant. To correctly identify the two-spotted spider mite, use a magnifying glass, at least 10x magnification. Typically you will find the two-spotted mites on the underside of the leaves. When populations get high enough they can be found on the tops of the leave as well. Adult mites can vary in color. Their bodies are typically creamy in color but can be anywhere from green to red to purple shades. On the larger adults, you can easily see the 2 spots on their back. Adult mites will have eight legs, while the immature mites only have six. The eggs of the mites are usually translucent, turning cream colored just before they hatch. Two-spotted mites live in colonies that produce webbing. The webs protect the mites as well as provide a highway for the mites to move on. These webs are a good identifier that the problem is spider mites. Do You Have a Spider Mite Infestation? It’s time to break out your magnifying glass. If you’re looking for spider mites, you’ll need one to see them; but if you’re looking for the damage the mites leave behind, look for dry spots and splotches on the leaves of your plants. If the infestation is severe, the plants may look scorched. You can also identify a two spotted spider mite infestation by looking for small webs on the plant’s leaves. 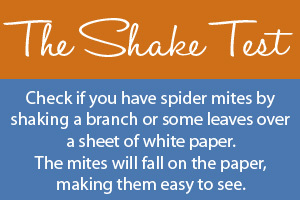 Another easy way to look for spider mites is to tap a branch or leaves over a sheet of white paper. The mites will fall off the plant and onto the paper, making them easy to see. Under the right conditions, two-spotted spider mite eggs can hatch in as few as three days. After hatching, the mites enter a larval phase and two nymph phases before reaching sexual maturity. The growth process takes between one and three weeks, and adult mites can live for two to four weeks. A rapid reproductive cycle allows the mites to multiply quickly, with one adult female two-spotted spider mite capable of spawning massive mite populations. Such a rapid cycle also makes chemical control methods difficult. Once you have determined that two-spotted spider mites are your problem, a decision must be made on which control options will be used. For small plants, plant removal might be your best option. Because two-spotted spider mites can travel on air currents to find new plants, removing problem plants will help stop spider mites from spreading. If plant removal is not an option, there are many predatory mites (good mites) commercially available on the market that work well on the interior landscape. Phytoseiulus persimilis & Neoseiulus californicus are two species that are commonly used. For pesticide treatments, there are sprays available such as insecticidal soaps or horticultural oils. Always check the label to make sure that these compounds are safe with your plant variety. Also be careful not to over spray because these compounds could make floors slippery or damage non-target items. When spraying spider mites it is essential to get complete spray coverage (including the undersides of the leaves where most two-spotted spider mites live). For soaps and oils to work, you must get them in direct contact with the actual mites. There are also some miticides on the market that will, when sprayed on the top of the leaf, move through to the bottom of the leaf. Avid (Abamectin) is one of these products that is registered for indoor use in most states. This product will not kill eggs and a repeat application will be necessary. Pest control labels vary between states and the pesticide user bears the responsibility of consulting the pesticide label and adhering to the law. Always read the label before a pesticide is applied to make sure it is legal to apply on your site, in your state and the plant material. Make sure you are keeping your equipment clean. Spider mites are easy to accidentally transport between plants and jobs on dusters, rags, and pruning equipment. When new plants arrive, especially palms, make sure you closely inspect them for spider mites. 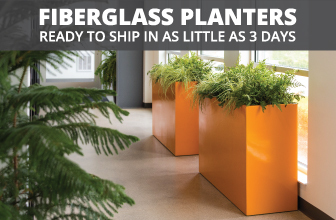 You might want to wash down the plant before taking it to the job site. Battling other common indoor plant pests? Check out my Professional’s Field Guide to Plant Pest Control for information on Whiteflies, Thrips, Fungus Gnats, Mealybugs, Aphids, and Scale insects. Suzanne Wainwright-Evans is an Ornamental Entomologist specializing in integrated pest management. Suzanne has been involved in the Green Industry for more than 18 years with a primary focus on biological control and using pesticides properly. She is a graduate of the University of Florida with degrees in both Entomology and Environmental Horticulture. 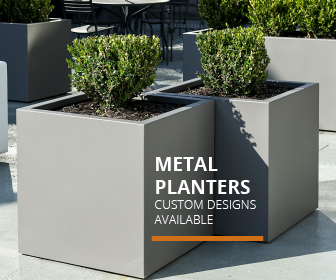 She has worked throughout the United States and internationally consulting to greenhouses, nurseries, landscapers and interiorscape companies.